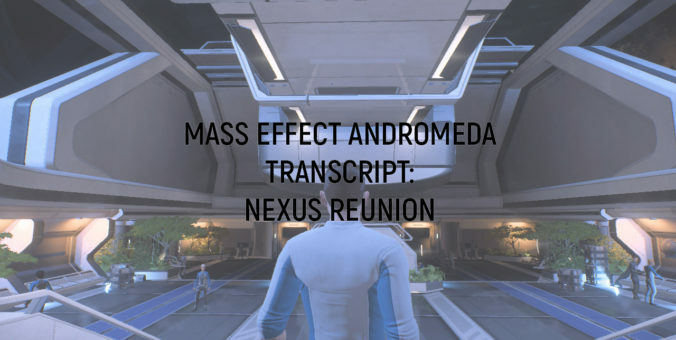 Today we’re publishing the transcript of Nexus Reunion: it starts with Ark Hyperion joining the Nexus for the first time and ends with Ryder going to SAM Node. As usual, all the transcripts are available in pdf and html format here. We’re publishing a full transcript this time so you can read the entire mission (main and additional scenes) in one go. We’ll be adding information about the quests in those transcripts soon. 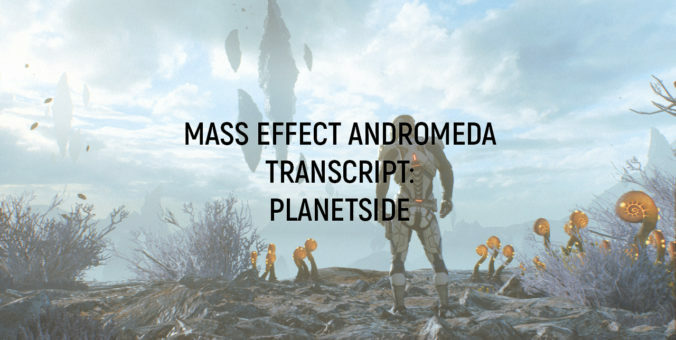 The transcript of “Planetside” is available in pdf and html format here. The original transcript was done by Ash and Deb, editing by Deb and corrections by Jamie. If you’re interested in helping us with transcripts, check out our Transcripts FAQ. 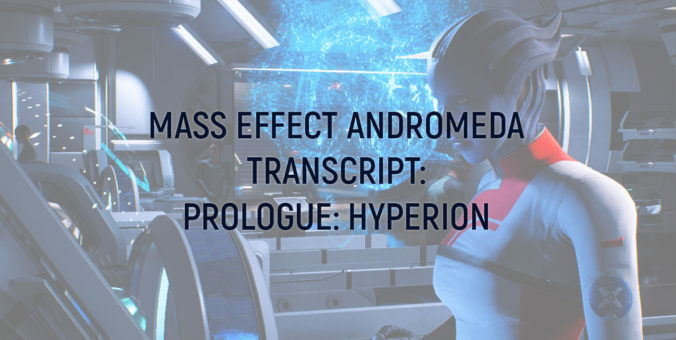 Today, we’re proud to publish our very first transcript of a Mass Effect Andromeda mission! The transcript of “Prologue: Hyperion” (with additional scenes) is available in pdf and html format here. The original transcript was done by Ash, additional transcribing and editing by Deb and corrections by Jamie. 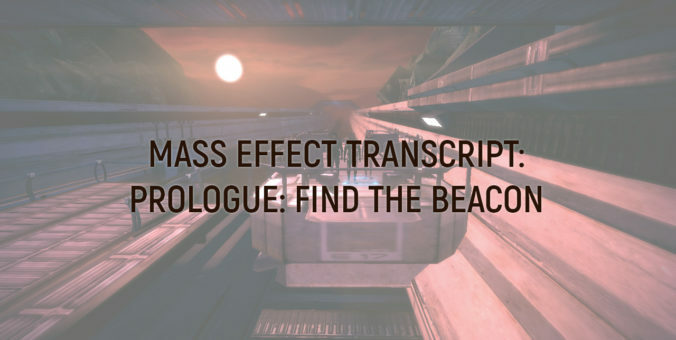 Today, we’re proud to publish our very first transcript of a Mass Effect mission! “Prologue: Find the beacon” is available in pdf and html format here. The original transcript was done by alchera, with editing by Deb and corrections by Jamie. You’ll find more details in our Transcripts page. If you’re interested in helping us with transcripts, check out our Transcripts FAQ.